What's Going On with DARE? 4 February 2019: On 23 January, DARE's Hilary Pilkington participated in a Exchange of views on drivers of extremism and radicalisation and human rights-based responses thereto organised by the Human Rights Subcommittee of the European Parliament. During her intervention, she presented some of the early findings of the DARE Project and in particular the findings of the systematic review of the research findings on the relationship between radicalisation and equality and which is available here. The discussion is available for streaming here. 29 January 2019: In November 2018, DARE team members took part in the first periodic review meeting for the project. Two independent reviewers - eminent researchers in the field – undertook a forensic review of the work of the DARE project to date and provided constructive comments and suggestions as the project enters its major empirical research phase. Progress on all elements of the DARE project to date was reported on, but the focus of this first review was on two substantive deliverables produced in this first period of work. These are: a systematic review of studies on the relationship between inequality and radicalisation; and a de-radicalisation programme evaluation tool. The systematic review of the evidence base on the relationship between inequality and radicalisation is a methodologically rigorous review of quantitative and mixed-method studies published between 2001 and 2017. The studies (141 in total) concerned different forms of ‘radicalisation’ (cognitive and behavioural radicalisation, far-right and religious/Islamist radicalisation) and inequality (economic and socio-political). The report can be found here. During this first period of work, DARE has developed a new tool for assessing the structural integrity of countering violent extremism (CVE) programmes based on a thorough and critical review of research on CVE evaluation to date. This tool – the De-radicalisation Programme Integrity Evaluation Checklist (DPIEC) - enables practitioners and policy makers to assess a programme’s structural integrity, i.e. the technical quality of the programme design in order to estimate the programme’s likelihood of impact. The toolkit can be used for existing programmes or to systematically design programmes from scratch. The DPIEC is currently being trialled and will be made public once testing is completed and revisions to the tool have been made. The DARE team has also produced a substantive methodological document (DARE Data Handbook) including a series of shared research instruments and protocols to guide all aspects of empirical work, which was highlighted by the independent reviewers as a ‘significant achievement’. We are happy to report that the independent reviewers concluded that the DARE project ‘has fully achieved its objectives and milestones’ for this first reporting period and that the project is in great shape to meet the challenges ahead! 9 January 2019 DARE Consortium Member ENAR's Director gave an interview to the European Eye on Radicalisation in which he discussed the relationship between radicalisation and racism. Critically he notes that 'most ongoing discussions at the EU level mainly focus on preventing and countering the radicalization of Muslims, especially the young, and their enrolment in jihadist organizations. Other forms of radicalization have slipped under the political and media radar, misleading the broader public into thinking that there are no other forms of violence today in European societies, although yearly Europol reports consistently show that the majority of terrorist plots and attacks in Europe are orchestrated by nationalist groups'. Read the full interview here. 22 October 2018 In the UK, debate and policy on countering extremism is shifting towards a societal focus and DARE’s team members have been actively involved in moving that debate forward. Hilary Pilkington’s role as an independent Commissioner on the Greater Manchester (GMCA) Commission on Preventing Hateful Extremism and Promoting Social Cohesion – established after the MEN Arena attack in Manchester on 22 May 2017 – culminated with the delivery of the Commission’s final report at the end of July. The report, entitled A Shared Future, called for a strategic commitment to ‘developing a community-led response to challenging hateful extremism’ as part of what Greater Manchester Mayor, Andy Burnham, calls a ‘whole-society approach’ to tackling extremism. Hilary has now taken up a role on the Expert Group of the UK Government’s national Commission for Countering Extremism. On 20 June Ajmal was invited to speak at the EU Parliament at an event organised by UK MEPs entitled Promoting Peace Preventing Youth Radicalisation and Fostering a Welcoming Europe. This event was attended by the Commissioner for Security Union, as well as a range of NGOs, MEPs and policy makers. On 5 October Ajmal also participated in a workshop on Ethics in researching radicalisation held at the University of Mainz, Germany. The workshop yielded considerable discussion from researchers working in this area from across Europe. 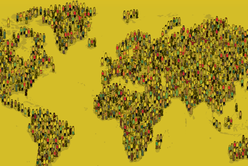 As a follow-up, Ajmal has been invited to speak about the DARE research at a future workshop on ‘Dark Ethnography’ to be held in Mainz in 2019. The UK team has also been working closely with the creative community to develop nuanced and sensitive understandings and portrayals of issues around youth radicalisation. Ajmal will be an invited respondent at the Aberystwyth Arts Centre in November on the topic of ‘Engaging young people in politics through art’. This will follow a theatre performance entitled #JeSuis. Hilary has been advising on a film commissioned by the BBC exploring pathways to right wing extremism, filming for which starts shortly. Finally, the UK team has received financial support to hold a one day ‘mediated dialogue’ which will bring together a small group of young people participating already in the DARE research to talk through some of the issues that concern them. The ‘Talking our way out of conflict’ event will take place in November facilitated by collaborators from the Tim Parry Jonathan Ball Peace Foundation and we hope it will provide a model that can be used by practitioners across Europe. 7th October 2018: After many colleagues slowed down a little on their DARE work over the summer months, the consortium re-energised for another year of the DARE Project. Colleagues have now started, or are about to start the fieldwork for the project, whilst all consortium members are working towards the project reporting to the European Commission. We are very much looking forward to the next meeting of some of the Work Packages that will take place in Brussels in November. 15 June 2018: On May 22-25 in St. Petersburg, Russia, the Higher school of Economics, represented by the Center for Youth Studies, hosted the members of the DARE consortium. The meeting was organized in two parts. The first day was devoted to the open international workshop "Rethinking Radicalisation: Frontline perspectives", in which the participants presented their findings on theoretical and empirical understanding of the phenomenon of radicalization and its various manifestations. The next three days were devoted to the discussion of the project and its progress. The delegates had the opportunity to exchange the first results of the project, discuss the emerging challenges and outline a work plan for the next year in different areas including the analysis of public policy in the field of counter-radicalisation, the study of the process of self-radicalization and case studies of Islamic and anti-Islamic radicalisation. Special attention was paid to the issues of building a dialogue between researchers and public and state organizations, and local communities. 15th May 2018: On 16-17 June in Warsaw the DARE project will be hosting the second, international workshop. This workshop will tackle the far-right radicalization process. We have invited around 18 participants - around 9 “former” ultra-nationalists and about 10 DARE experts. The participants who are from Canada, Germany, Poland, the Netherlands, Finland, United Kingdom, have changed their mind and left the far right group/party/ideology and engaged themselves into countering the far right ideology and movements, becoming CVE practitioners. Therefore, our workshop is in the line with current trends in prevention of radicalization by acknowledging the role of “formers” in deradicalisation actions. The workshop is interactive. Participants are asked to take an active role by presenting their experience and views according to the workshop’s main themes such as: the place of “formers” in countering violent extremism work, and new challenges in countering the extreme right. As was the case with the first workshop, face to face interviews will also be recorded in order to contribute to a documentary and the educational toolkits that will result from the project. 26 April 2018 The DARE Project's first output is now available - a policy brief entitled 'Effectiveness of counter-radicalisation policies: Preliminary Research Findings and Recommendations from European Experts in Deradicalisation and Counter-Terrorism'. The Policy brief is based on the preliminary results of the analysis of existing security policies and interventions in radicalisation and counter-radicalisation at the EU, national and local levels. The findings draw on analysis of around 200 policy documents as well as on 25 interviews with experts from policy and practice in fields related to counter-radicalisation, anti-extremism and deradicalisation. All interviewees are practitioners of counter-radicalisation, countering violent extremism (CVE) and deradicalisation – representing a range of institutions at the national and the EU level (RAN, Europol). Researchers interviewed experts from Belgium, France, Germany, Greece, Norway, Poland, the Russian Federation, the Netherlands, Tunisia, Turkey, Spain, UK and Israel between January and March 2018. The selected experts provided their assessment of current dynamics of radicalisation processes in Europe and on the strategies to counteract them. Read the policy brief here. 10 April 2018 One of the frequently mentioned root causes of radicalisation are poverty and inequality. However, empirical findings for such claims are inconclusive and we are still far from valid and reliable answers on questions such as Is inequality associated with radicalization? If so, how (positively or negatively), when, where and how? To find more reliable answers to these questions, researchers in the DARE project within Work Package 4 are conducting a systematic review of quantitative research (Institute of Social Sciences Ivo Pilar) and a meta-ethnographic synthesis of qualitative research (Ecole des Hautes Etudes en Sciences Sociales and Anadolu University) on the relationship between inequality and radicalization. The Literature search is focused on original empirical studies published as journal articles, books/book chapters or reports between 2001 and 2017 in the English language. The search encompassed electronic databases search, hand searching of journals not indexed in databases and grey literature search. For electronic databases search combinations of key words relevant for concept of inequality and radicalisations were used. Besides examining the relationship between inequality and radicalisation on individual and social level, SR of quantitative studies will also describe methodological aspects of the existing studies and detect evidence gaps as well as methodological best practice and action points for other WP’s within the DARE project but also future studies and policies in general. Results of the complete SR of quantitative studies will be presented in a report that will be published on this site later this year. ​5 March 2018 Over the weekend of February 23-25 family members of people who were affected by violent radicalization met in Warsaw for a workshop about practical tools in counselling other families to counter violent extremism. Aspects such as risk assessment, coping with burnout and stress, evidence-based methods in deradicalization and family-based intervention programs were introduced. At the same time, the participants gave testimonies about their stories and experiences to the team of DARE to help build the educational toolkit that will be amongst the key outputs of the DARE products. The participants came from Tunisia, Belgium, Germany and the United Kingdom and even though their contexts and struggles faced by their home countries differ greatly from each other, it became clear that they all shared very similar experiences of loss, powerlessness and pain but also the will to connect to each other and to jointly step forward supporting other families in need. The DARE team is grateful for the opportunity to work with such wonderful and strong people. 23 February 2018 On 22 and 23 February the DARE Impact Sub-Committee met in Warsaw, Poland. The meeting attended by NOVA (Norway), Collegium Civitas (Poland), UNIMAN (UK), ENAR (Belgium) and PfC (Malta) discussed the project’s dissemination approaches and tools, planned an impact workshop for the forthcoming consortium meeting scheduled for May and discussed the role of the National Stakeholder Groups at the national level. The committee also discussed at some length the various channels of impact for the project at the national and European level and the various ways in which the Consortium and its members can engage stakeholders across the life cycle of the project. 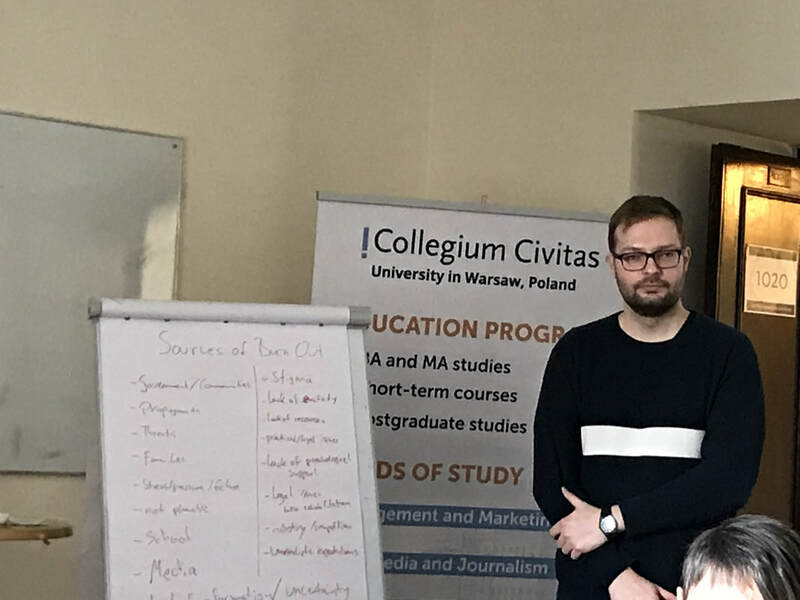 The meeting was kindly hosted by Collegium Civitas, the Polish Consortium Member. 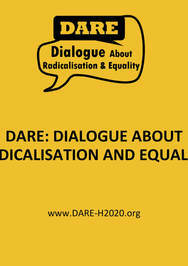 22 February 2018 Consortium member Leiden University contributed a post reflecting on how the DARE project fits within broader discussions of radicalisation in academic and policy circles. Read it here. 22 February 2018 Consortium member Panteion University contributed a post reflecting on the ongoing discussions in Greece regarding the building of an official mosque in Athens. Read it here. 05 February 2018 As a DARE partner working across various work packages, the Leiden University team has focused on creating the conditions under which the ambitions of DARE can come to optimal fruition. We are making progress in setting up the team that can make significant contributions to our understanding of policies in the domain of radicalization, to describe the dynamics of media assisted self-radicalization, to effectively engage with the milieus we aim to understand, to assist in implementing new tools, and to disseminate our insights. We are fortunate to have received positive responses from national and international academics, policy makers, and practitioners regarding the societal and academic ambitions of DARE. Recently, the Leiden University team hosted the national platform of researchers in the area of radicalization, to discuss research and dissemination challenges in radicalization research. We have also hosted and contributed to various other local and international events. A smaller team of academics, policy makers, and practitioners meet on a regular basis, discussing the issue at hand and generating activities. This has allowed us to connect to the milieus we seek to understand. Indeed, it has been very gratifying to have received the support from many experts and people in the field. 13 January 2018: Throughout the first phase of the DARE Project, The People for Change Foundation has focused on setting up the various dissemination tools for the project. The tools aim to ensure the greatest impact for the project and its findings and will need to continue to adapt as the project progresses to meet that goal. The tools set up by PfC include: this website (www.dare-h2020.org) – intended to be the main reference point for the project, shared posters (see image above) for the project, a project leaflet as well as shared slide templates. Beyond these, PfC was also responsible, in collaboration with the consortium for the design and agreement of the project logo, intended to give the project a distinct identity. This work included various challenges most notably ensuring that the various tools meet the expectations and address the concerns arising from the various partner institutions and their national realities and second that the tools prepared are suitable for a wide range of audiences that the DARE Project seeks to target including young research participants and policy makers. This is also why these tools remain a work in progress, intended to continue to evolve as the project moves forward. 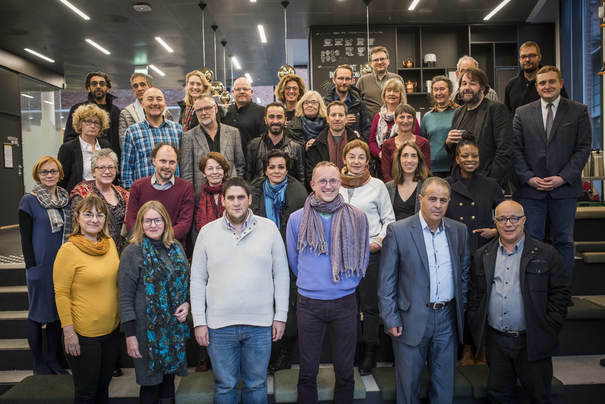 13 November 2017: Between 23 October and 26 October, colleagues from all participating organisations and countries met in Oslo to discuss ethics, methods, data management and involvement of stakeholders in the ‘Dialogue About Radicalisation and Equality’ Project. Given that during the coming months, the work of many researchers involved in DARE will consist of intensive desk- and field-work this meeting provided a key opportunity for consortium members and individual researchers to discuss the common research tools to be used with young people and experts, who can contribute to the development of new knowledge on pathways to radicalisation. The project’s comprehensive Data Handbook, drafted by the University of Manchester, and which addresses a variety of issues around data collection, storage and analysis was also discussed. DARE colleagues reported on the collaboration with representatives from municipalities, ministries, media and civil society organisations at a regional, national and European level, and the exchange with policy makers and colleagues from and beyond their own institutions. The meeting was graciously hosted by the team at the Oslo and Akershus University College of Applied Sciences (HIOA). On 6 October UNIMAN hosted the first meeting of its National Stakeholder Group (NSG). The meeting brought together a diverse group of stakeholders from across policy, practitioner, academic and specialist NGO fields. These included: the Home Office Extremism Analysis Unit, Manchester City Council Community Safety team, Birmingham & Solihull Mental Health Foundation Trust, Moonshot CVE, Connect Futures, The Tim Parry Jonathan Ball Foundation for Peace, The Runnymede Trust and Centre for Research and Evidence on Security Threats at Lancaster University. NSGs are a key and integral part of the DARE project, and will be important in helping to shape the research as well as to disseminate findings as they emerge. This first NSG by the UK team gave us the opportunity to discuss key elements of the impending ethnographic research with young people. We discussed issues around entry into fieldwork, generating samples for interviews and observations, building trust with gatekeepers and young people, handling difficult situations during the process of fieldwork and the identification of milieus. NSG members brought valuable insights from their own work in these areas enabling us to refine our proposed interview scenarios and overall fieldwork strategy. Feedback gathered from this meeting will feed into discussions with researchers from the wider DARE consortium at our Methods Workshop to be held in Oslo from 23-26 October. 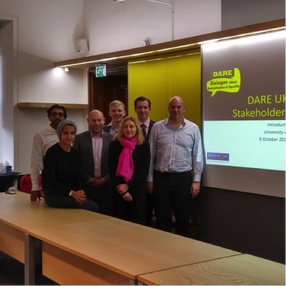 11 May 2017: The DARE Project team held its first partners meeting between the 9 and 11 May in Kendal, UK. The meeting provided an opportunity for the partners to discuss the research and the project logistics. 7 April 2017: Hilary Pilkington, the Coordinator of the DARE Project has won the very prestigious BBC Ethnography Prize for her book ‘Loud and Proud: Passion and Politics in the English Defence League’.